Lana knows earrings. Thin 14K yellow gold wire forms three teardrops that dangle from a French hook backing to create this fabulous set of earrings. 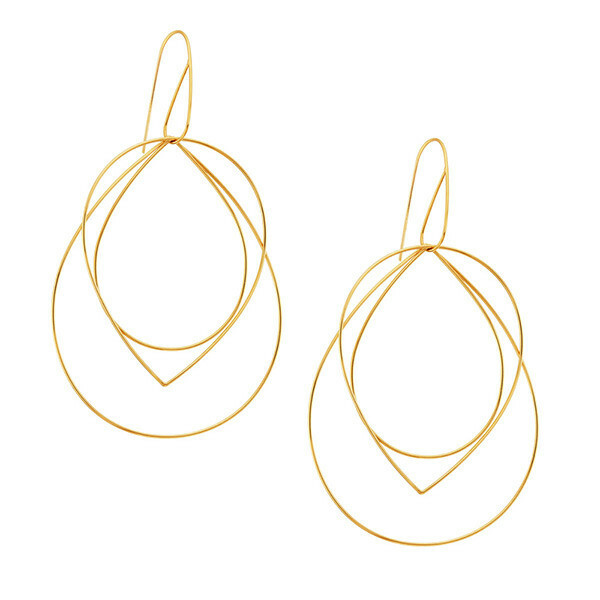 The geometric genius of these drop earrings from Lana makes them absolutely unforgettable.